Moving in Hawaii has its own unique challenges, with a large population squeezed into a small geographic area with many parking and logistics problems to contend with. That is why Westpac International in Honolulu, HI should be your dependable movers. We have a great reputation among the kamaaina in Hawaii as having experienced and professional service. Westpac International, Inc. is a locally owned company, doing business in Hawaii for over 25 years. We specialize in the packing/shipping/transportation of household goods locally, inter-island, nationally, and internationally. Along with this type of service, we also do office relocations, in part or whole, for numerous local businesses and City, State and Federal government offices. Put your belongings in trusted and insured hands with the moving experts at Westpac International. 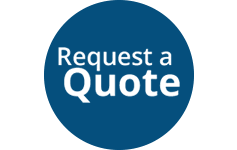 We pride ourselves on providing the best quality service and we only hire the most careful movers in Honolulu. Our team provides a broad range of residential, commercial and international moving services. We offer packing and unpacking to help make sure that your relocation is as smooth and hassle-free as possible. We can also store your belongings, short or long-term, in our secure storage facility. Ask us about rates–and about our full value insurance protection.